A home dehumidifier is an appliance that can regulate the moisture content of the air within a defined area. People who prefer to change the humidity of the environment can purchase one of these units and create a comfortable environment within their own home. The recommended humidity level is around 50% when the temperature is 72°. If the humidity of a particular area is higher than this it could cause the occupants of the space to have some health issues. High humidity can contribute to the breeding of mold and mildew which in turn harms furniture, walls, clothing and carpets. A home dehumidifier will help prevent mold and mildew odors by controlling the humidity levels and preventing them from growing in the first place. You need to pay your attention to several factors when purchasing a home dehumidifier. Before you purchase one of these units, you need to measure the temperature and humidity levels inside your home. There are certain signs which may indicate that your home has higher humidity levels and could benefit from the use of one of these units. The presence of water spots on the window, condensation on the inner glass in a room and perceived existence of vapor or fog on window glass or glass accessories are some of the indicators. These would be one of the first signs of high moisture levels within a room. If you have some of these conditions in your home presently, you should strongly consider purchasing one of these units. When you decide to purchase one of these units, it will serve you well to have a good understanding of how these units function. The principle behind a dehumidifier is that water can condense easily on a cold surface. Similar to what happens to a canned drink when you pull it out of the refrigerator. This appliance has a fan which takes the warm moist air in from the home and moves it across cold refrigeration coils. The humidity condenses on these coils forcing the water to drip down and be collected and discharged by the unit. This cold air is re-circulated over the warm coil before being put back into the room. 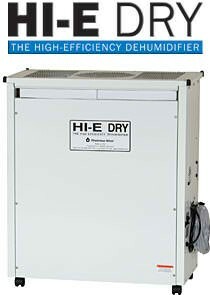 You can select a good home dehumidifier at an affordable price. A dehumidifier is a long-term asset and it is extremely important to make a perfect choice for your home and needs. There is a wide variety to be found in market today, in various shapes, sizes and capacities. Selecting the best unit for your home should be based on several considerations such as the number of rooms, the size of those rooms, cost factor, requirements and placement of the unit. Most people do not consider all the air space that will need to be dried but a good home dehumidifier distributor will be able to help you work through sizing the unit and determine the amount of air to be dried. That way you don’t buy a unit that is too small and will not adequately meet your needs. This article was published on Tuesday 12 February, 2013.